York Road, Winstanley/Lachmere Ward, Battersea Park, Northcote Ward … what do they have in common? Each time Wandsworth Tory Council are bulldozing through their own plans, misrepresenting or ignoring consultation result and patronising the local population. Local residents where consulted by Wandsworth Council in autumn 2013 on the future of the area near Clapham Junction station. The latest exhibition shows now the difference between what was presented to the local residents to get their vote in 2013, and what is now strongly suggested. 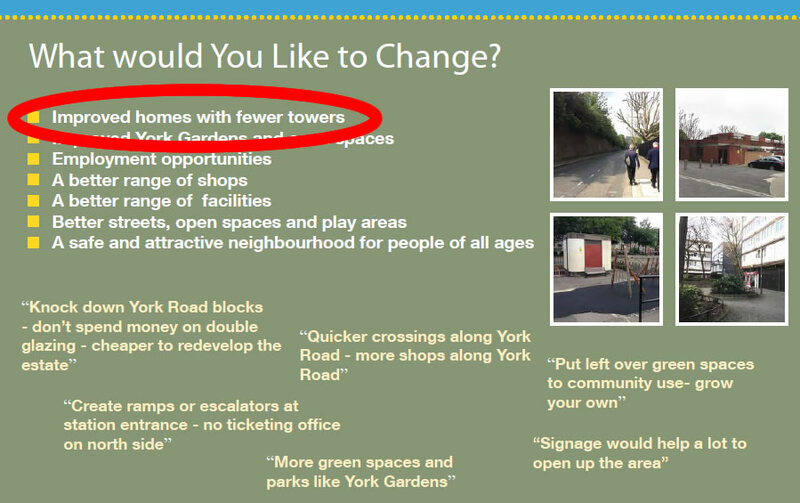 Here is the response from the Council as presented in October 2017 on their exhibition boards at York Garden Library. Therefore, either the Council misunderstood the view expressed by the local residents, or as shown in the more recent consultations, they decided to bulldoze through their own vision, ignoring residents and misrepresenting the local opinion! Following this view might challenge the own purpose of consultation and democracy. Let’s be quite clear about the maths: Mr Govindia was elected as a Councillor last May 2014 by only 2134 voters, which mean “as a percentage of the Borough’s population of around 310,000, that is” 0.69%. Shall we say that the leader of Wandsworth Council is only approved by 0.69% of the Borough’s population? At the same meeting, campaigners reported that Tory Cllr. 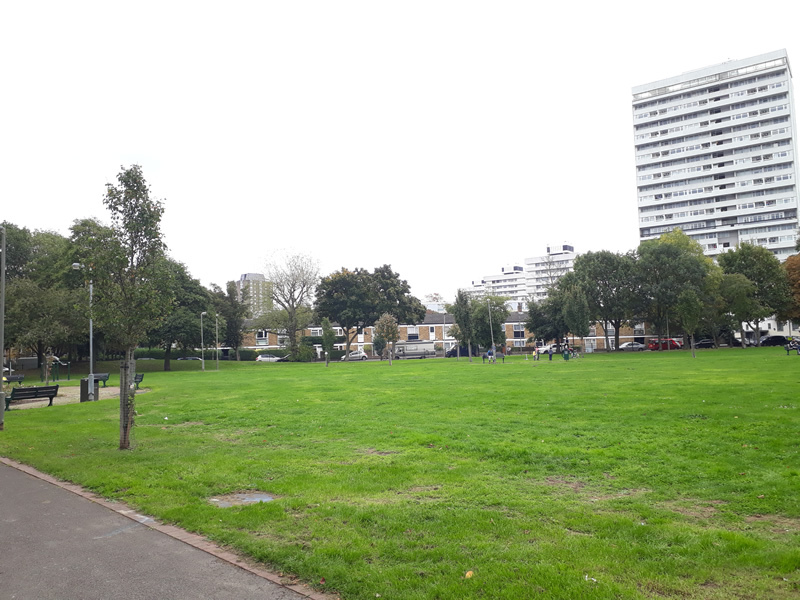 Torrington, a resident of Putney, declared that “parks are a luxury“. Similarly, Cllr. Cook made remarks in the press, implying that people living on the edge of the park were nimbies, and that they would not have objected had they lived in leafy Hampstead. Ignored by a deaf Council, local residents needed to issue a Claim at Court and started a Judicial Review procedure before a last minute agreement was reached with the event organisation. Wandsworth Council was forced to abide by the result. and no less than 61% of respondents did not like the Chatham Hall development part of it, 58% against the provision of new flats and 70% opposed to impact on Alphabet Nursery. Seriously? Most of the stats in the report (page 7-8) for the longer questionnaire come back as negative (i.e. 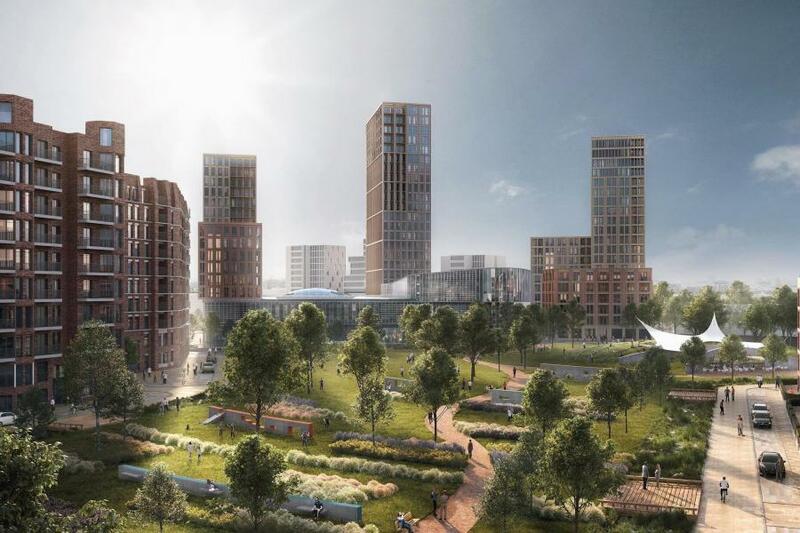 people did not want a large building development to happen here) or neutral, and yet the overall result has been illustrated by the Council that a majority support the proposed scheme. At the Shaftesbury Let’s Talk meeting on 9th October 2017, Cllr Cook (deputy leader) repeated the false statement that a large majority were in favour of the Council’s plans. Despite a letter sent on March 3rd 2017 by Cllr Cook stating: “Whether or not this scheme proceeds will depend largely on the results of the public consultation“, the Conservative Councillors voted unanimously in favour of the plan supported by Cllr Dawson to destroy the current library and Chatham Hall. Contempt and mockery from Wandsworth Council? Is dismissing consultation results, treating statutory instruments as guidelines, disregarding community groups and showing contempt to the local residents the norm for Wandsworth Council? You can make your own opinion, the comment box below is open.